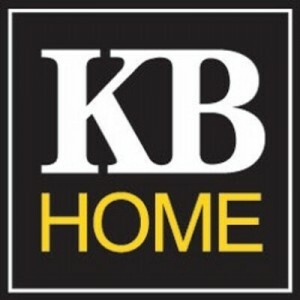 KB Home the homebuilder missed expectations for the most recent quarter ended following deliveries that were softer than had been expected and contract abandonment and inventory impairment charges, though its sales continued to reflect a housing market in recovery. Shares were down 9.7% trading early Thursday, including that drop, the stock is 27% down the last three months. The builder based in Los Angeles reported a rise of 24% in its overall revenue ending the quarter at $985.7 million with another quarter of gains in the double-digits in both orders and deliveries. The average sales prices of KB Homes increased by 8% from the same period one year ago, as prices moved up across the entire region. Demand is strong now, said Jeffrey Mezger the CEO in an interview, with traffic now back at the high of before the crisis and the values of home surging over the three-month period, market conditions have improved. Lennar Corp a larger rival expressed sentiment that was similar when logging another solid round of results for its quarter that ended the year. Still the fiscal fourth quarter KB deliveries were disappointing. Though they ended up over 16% from the same period one year ago, the number still was less than expected said Mezger. He cited adverse weather and the continued labor shortage across the industry in general. Heavy rains stopped construction for part of the three-month period across both Colorado and Texas and that caused the company not to be able to complete work by quarter end that had be delayed by the adverse weather. For the just ended quarter, KB reported $44 million in profit equal to 43 cents per share, which was down from the $852.3 million equal to $8.35 per share for the same period one year ago. However, results from last year included a big gain from a reverse against losses that incurred during the previous housing crisis. The company in the latest quarter also took a hit in taxes due to the gain. Analysts were expecting 50 cents per share in profit on revenue of $1.07 billion.